Add chopped cauliflower to a food processor and pulse until the cauliflower is “rice” consistency. On medium heat, add coconut oil and cauliflower to a medium pot. Mix well. Add coconut milk with a pinch of salt and mix well. Cook over medium heat for 10-12 minutes, stirring occasionally. Cook cauliflower until soft. 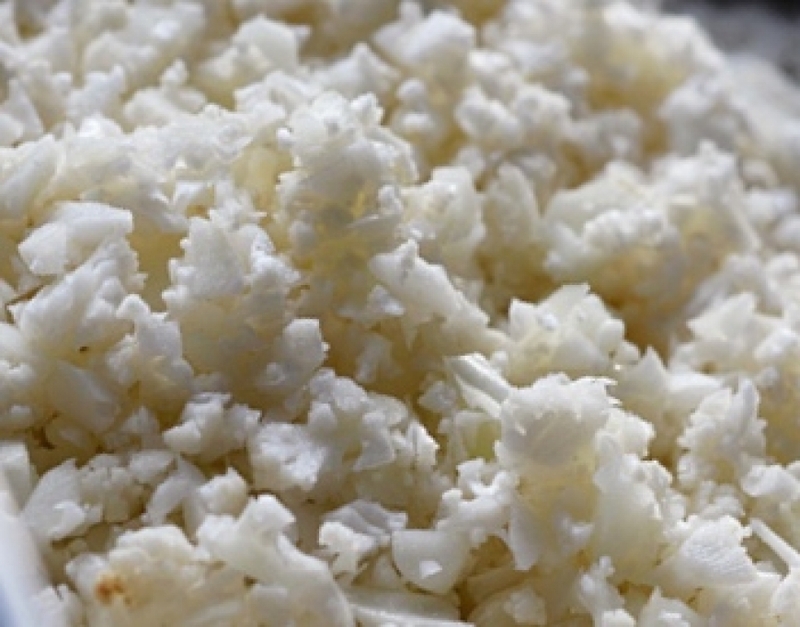 Once cauliflower is soft, add shredded coconut and stir until well blended in the pot, and reduce heat to warm. TIP: I like to serve this side with a flaky white fish like mahi mahi or halibut. Use this “rice” in any recipe that calls for a side of coconut sticky rice. If you want a little “sweeter” rice, add 1 tsp of Erythritol or a packet of Stevia, to taste.